Cover: Collage of Anise Swallowtail butterflies, photos courtesy Roger Jones. 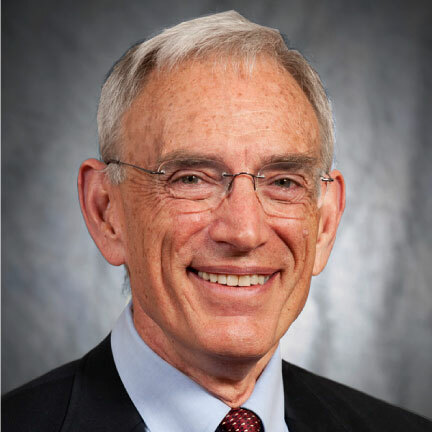 Business professor Jerman Rose first went to China in 1995 as part of a Washington State University hospitality program to train hotel managers in the Shangri La Hotel Group. Recognizing the growing opportunity for business students from both China and the United States, he decided to learn Chinese and look for an academic partner for WSU’s international business program. By 1998 he had helped establish a relationship with Southwestern University of Finance and Economics (SWUFE) in Chengdu, Sichuan Province. Almost 15 years later, says Rose, the college has established a WSU Center at SWUFE and facilitated many undergraduate, graduate, and faculty exchanges. 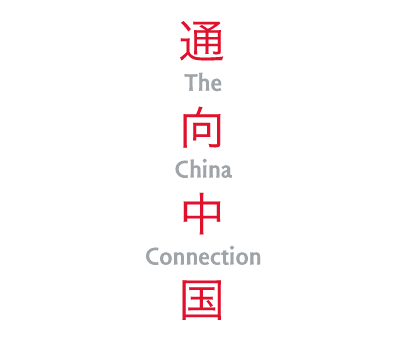 For Rose, the China connection is far more than just an institutional relationship. It’s a vital part of a broader need for students to embrace an international business environment. “More than anything, we hope that students develop what we might call a ‘global mindset,’ a curiosity and interest about people outside the U.S.,” he says. 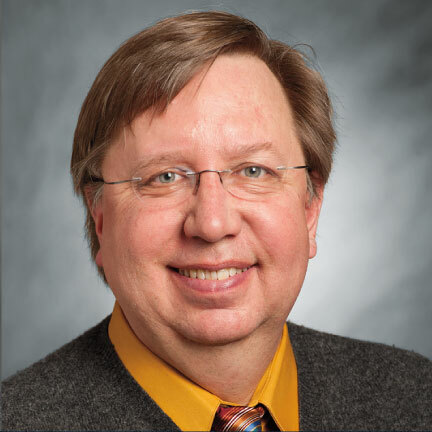 His work, and that of many other faculty, staff, and students at WSU, is helping reinforce the trans-Pacific connection that is so crucial to the cultural exchange and economic success of both Washington and China, but linguistic, informational, and trade barriers remain. China is Washington’s largest trade partner, buying $11 billion of Washington exports and selling $31 billion of the state’s imports. In the last few years China overtook Japan as Washington’s second largest export destination, after Canada. Boeing, our largest exporting company and an icon of Washington state, projects that over the next 20 years China will need 5,000 new airplanes, worth more than $600 billion, and will be its largest commercial airplane customer. The Boeing-China link is not just a future partnership. In 1916, Boeing’s first engineer was China-born Wong Tsoo, and Boeing has had a presence in Chinese commercial aviation since 1972. Aerospace products are now Washington’s top export to China, at $3.9 billion and representing 55 percent of all exports. Moreover, every commercial Boeing airplane has some parts made in China, from doors to wing panels. From forestry products to software and high-end medical equipment, Washington products feed the demands of an emerging Chinese middle class estimated at 300 million strong, nearly the total population of the United States. Those middle class consumers, especially the younger ones, want luxury and Western brands. For example, Washington-based retailer Starbucks Coffee has expanded aggressively in China, with more than 750 locations in the country at the end of 2010. Some of Washington’s agricultural products could also fill that quality niche nicely, but they face some difficulties. As a traditionally agricultural country, China does not have the same needs for food as other nations such as Japan. However, although China ranks only fifth among countries receiving Washington agricultural products, ag exports climbed 45 percent from 2010 to 2011. The IMPACT Center, which provides economic and market analysis for Washington agricultural and other industries, has also worked with the wine industry to improve its China presence. While Washington vintages are being sold more in China as the middle class gains a taste for wine, “they value more the wines from France because of reputation. In price, the wines from Chile are much lower than United States,” says Zhao. One major agricultural export feeds the animals that cater to another growing middle class taste: meat. Washington alfalfa exports to China are strong, says Zhao, because the state has the space to grow animal feed and meet the escalating desire for beef and pork. 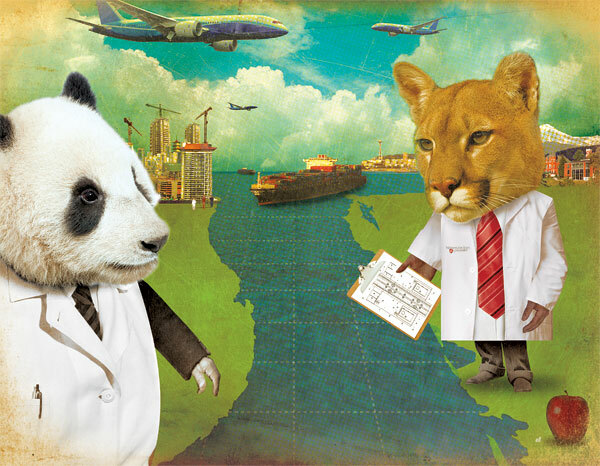 Airplanes and alfalfa are tangible evidence of Washington in Chinese markets, but as China grows, another vital export can help both the state’s businesses and their Chinese counterparts: expertise. As buildings go up in Shanghai, Beijing, and other cities, they need more architects and engineers. Many of those experts come from WSU. Another kind of expertise comes from the knowledge of Chinese culture and history, especially at the highest levels. Former Washington state Governor Gary Locke—the first Chinese-American governor in the history of the nation—was U.S. Secretary of Commerce and now serves as ambassador to China. Chinese president Hu Jintao recognized the importance of the state, making Seattle the first stop in his first state visit to the United States in 2006. 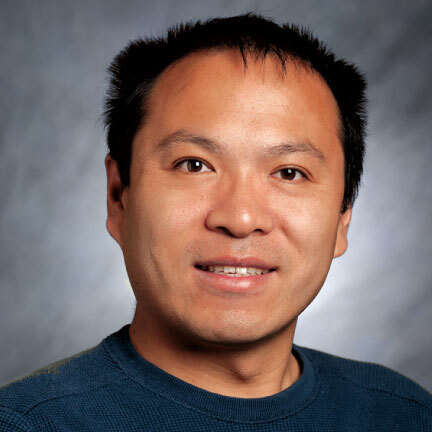 Eric Zhao earned his doctorate in agricultural economics at WSU after he came to Pullman from Beijing in 2007. His story shows another, and perhaps more personal, side to the trade equation: WSU’s place in fostering cultural understanding between China and Washington. Zhao grew up on a farm in Hebei Province and, after working for a biological products firm in Beijing, he decided to pursue graduate studies at an American university with a strong agriculture program. After the traffic jams and bad air quality of China’s capital city, “When I came to Pullman, I just felt at home,” he says. Like Zhao, many Chinese students attend WSU for its strengths in engineering, agriculture, clean energy, business, and other programs. In fact, according to Prema Arasu, WSU vice provost of international programs, 45 percent of our international students are from China, far more than from any other country. “We have a robust connection with China and it’s only getting stronger,” she says. Arasu says a recent agreement signed with the Chinese government’s China Scholarship Council will fund students to either earn their doctorate at WSU or conduct part of their research and build academic collaborations with WSU. Currently, 20 to 25 students are doing their doctoral work at WSU and another ten are involved with shorter-term research. Chinese students also make an impact economically. Eric Schinfield, president of the Washington Council on International Trade, says the state sees about $450 million in benefit from students coming here. At least in reputation, it’s paid off. WSU’s international business program is ranked number 19 in the nation, says Rose, and about 40 percent of all undergraduate business students have an international experience other than taking classes. Arasu says faculty-led tours to China, such as the College of Business semester program to SWUFE, can make study abroad to China more accessible. As another example, she mentions veterinary medicine associate professor Mushtaq Memon taking a group of vet students last year to learn about animal acupuncture in China. They went to Beijing and learned about ancient techniques of acupuncture and traditional Chinese veterinary medicine as applied to animal care, a skill that has grown in demand among American pet owners. 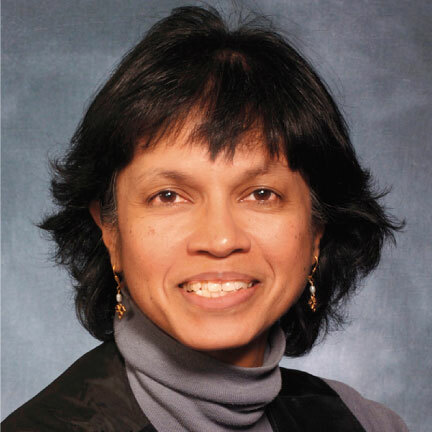 “If more faculty like Dr. Memon can lead group programs, then that 10 or 20 who go will come back to be our ambassadors on campus and encourage more students to seek these cultural experiences. Or they come back after a short one- or two-week program and say, ‘I can do this for a semester,’” she says. Faculty-led tours, often at a lower cost than semester- or year-long study abroad programs, such as Karen Leonas leading apparel and textiles merchandising students on a study tour of China’s textile industry, can increase exposure to Chinese culture and industry across disciplines. Other programs are in the planning stage: Forrest Parkay is working on the College of Education’s first study abroad program to remote Yunnan Province, and WSU Honors College dean Libby Walker is coordinating with Southeast University in Nanjing on an exchange with their honors program, a novel offering at Chinese universities. 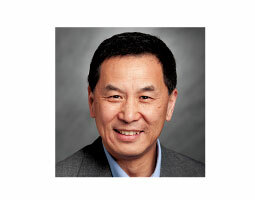 Jie Chen ’91 PhD can attest to the importance of those programs. 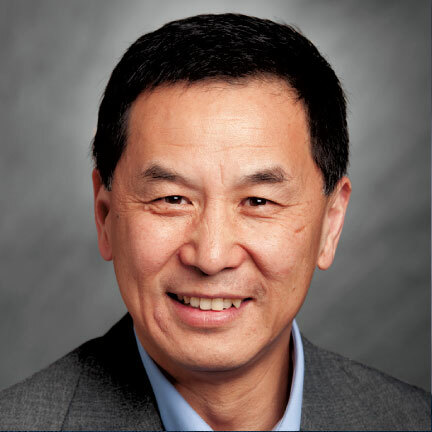 Originally from Beijing, Chen studied international relations at the Monterey Institute of International Studies, and then came to Pullman to study for his doctoral degree under WSU political science professor and nuclear deterrence expert Patrick Morgan in the late 1980s. 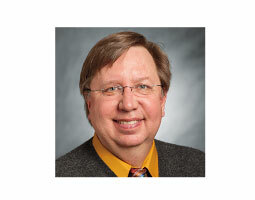 He taught at Colorado, Wisconsin, and Old Dominion University before moving back to the Palouse as dean of graduate studies and distinguished professor of political science at the University of Idaho. During his years in academia he has taken a number of students to China. “I cannot overemphasize the importance of firsthand experiences,” says Chen. He says it’s relatively easy for students in a related major, be it Asian or China studies or international relations, but there’s a need to encourage students in programs like engineering to participate in study abroad. “If students at WSU, especially in engineering, don’t have basic knowledge about the country, which many companies have to deal with, they’ll be seriously disadvantaged,” he says. For many, the language itself imposes a psychological barrier. Lupke hears from people that Chinese is impossible to learn, and it’s the most difficult language in the world. The Chinese language’s mystique, he says, is completely untrue. He notes that Mandarin Chinese is the lingua franca of China, intended to be easy since millions of Chinese people speak a regional language as their first one. Despite the reputation of the language’s difficulty, Lupke has seen a “tectonic shift in students who want advanced Chinese language.” Students and their parents are demanding more Chinese language, even at the K-12 level. To meet the demand for Chinese, WSU has three permanent faculty members teaching not only language, but literature, culture, and film courses. The university also has a full-time Chinese language instructor fully funded by the Confucius Institute out of Seattle. The institute, similar to Germany’s Goethe-Institut, promotes Chinese language instruction worldwide. But for Lupke, immersion in the Chinese language is crucial to achieve the high level of proficiency necessary to be fluent. WSU students can get that intensive training through a study abroad program in Harbin. They study among students from Yale, Stanford, and other elite schools after taking basic classes at Pullman, with the goal of becoming fluent. To help with the costs of studying in China, students have access to a number of scholarships. The College of Business students have help from Scott ’72 and Linda Carson’s million-dollar donation for undergraduates to study abroad. Others have been awarded the David L. Boren Scholarship out of the Department of Defense, providing $20,000 a year for study abroad of languages in the critical interest of the U.S., such as Chinese. “In the past five to seven years, we’ve received 14 of those scholarships, which I think is more than any other university to whom we would compare ourselves,” says Lupke. The federal government, recognizing the strategic importance of Americans understanding Chinese language and culture, also began the “100,000 Strong” initiative in 2010 to dramatically increase the number of students studying in China. Ten times more Chinese students come to the United States than Americans who study in China, a number that Lupke feels is untenable. “It’s absolutely critical that we have as many American students getting good in the Chinese language as possible. Those students need to be spread across a wide range of disciplines; we need engineers, lawyers, doctors, nurses, people in business, agricultural economics,” he says. 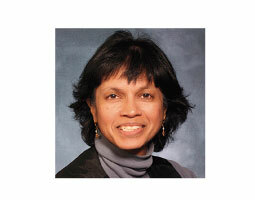 Another form of exchange comes from WSU professors and researchers already in those fields. Arasu says collaborations are taking place, with more on the way. Smart grid expert and WSU engineering professor Anjan Bose has been invited by the president of Tsinghua University, one of China’s top engineering schools, to evaluate their electrical engineering program. Chinese food giant COFCO has expressed interest in biological systems researcher Juming Tang’s microwave sterilization techniques. 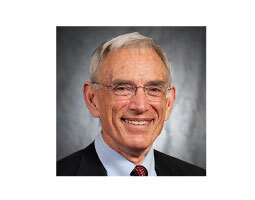 Also in food safety, Regents professor in chemistry Herbert Hill’s work with ion mobility spectrometry could ease the identification of contaminants, an area of interest to both the U.S. and China. 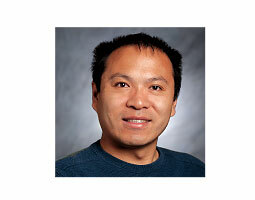 Shulin Chen works with several partners, including China Agricultural University, in his renewable energy research. The research partnerships play to WSU’s strengths, just as a new export outreach program builds on WSU’s land grant and extension mission. The Washington Small Business Development Centers (WSBDC), operating under the auspices of WSU and the U.S. Small Business Administration, received a grant in 2010 to ramp up help for small businesses that wish to export. “One purpose of the proposal was taking advantage of the statewide footprint that we already had,” says Terry Chambers, director of the WSBDC. He says the existing 26 advising centers all over the state were in a unique position to promote both national and state export initiatives. As part of the grant Chambers hired Vern Jenkins and three other international trade specialists, who go out to small businesses and work with them to assess their readiness to export, prepare an export strategy, research markets, and get over the many informational barriers to moving their products overseas. After twelve months, they have around 250 clients statewide and at least 20 percent are now exporting. Considering that it usually takes two to three years to begin exporting, that’s a successful program, says Chambers. The WSBDC export assistance program also provides educational opportunities for WSU student interns who deliver market research. “Without them, our ability to help companies move would be substantially more difficult. It would take all the international trade specialists’ time to do all that research, so the WSU interns are a godsend,” says Chambers. Partly through the efforts of the WSBDC, along with their partners at WSU’s IMPACT Center, Washington’s exports increased 9 percent to a record $64.6 billion in 2011. The state is the largest exporter per capita in the United States, but the path to China for both trade and cultural exchange is not completely clear. Everyone involved with China and trade knows some of the sticking points. Differences in intellectual property rights affect a number of Washington companies, from software firms like Microsoft to pharmaceuticals to products that may emerge from WSU’s research. Until stronger copyright and patent laws can be enforced in China, some companies will have difficulty, says Schinfield. Regulatory hurdles can also hinder exporters. “There is a lack of regulatory transparency for many processed agricultural products. The product can even be rejected at customs in China,” says Zhao. Political concerns about China may give some companies pause as well. Chen researches the middle class in China and their interest in pursuing reforms, and he believes the rising middle class is pro-American in terms of lifestyle and ideals, but it’s complicated. One way Chinese students can both learn about America and practice the ideas—without jeopardizing their economic stability at home—is by coming to the U.S. to study, says Chen. They now have the financial resources to do that, and increasingly they are then returning home. For WSU’s students and faculty, the cost, along with perceived linguistic and psychological barriers, should not keep them from going to China and learning about the culture, says Arasu. She knows many students can’t afford to study abroad, because of financial or degree completion constraints. “What are we doing for the 97 percent of our students who don’t have the privilege or opportunity to go abroad?” she says. Part of the solution can be building interactions between international students and American students here on campus, says Arasu, citing a recent exchange with WSU’s football athletes. WSU still needs increased scholarships for study abroad and alignment of curricula with overseas programs to ease the transfer of credits, she says, but the need for students with global experience, even in just a classroom, is absolutely necessary. As students and businesses come and go from Chengdu or other places in China, they’re also transforming. “More important than this intellectual content, the facts and figures, is this personal growth and attitude change,” says Rose.